In the heart of Languedoc, the real South of France, Villa Roquette is a charming Guest House offering you either a fully serviced self-catering apartment or individual chambre d’hote B&B. We offer you a comfortable home in our classic 19th century “Maison de Maitre”, with individual bed and breakfast suites, king size, double or twin beds. Your B&B has private, secure and peaceful rooms, 24 hour private entrance, private parking, wifi everywhere our own totally secure swimming pool, gardens, barbecue and much more. Rest with us overnight, or stay with us for much longer and explore this beautiful, fascinating and historical region. Make Villa Roquette your local home and be free to discover Languedoc in the South of France. In the Herault valley, a few minutes from Mediterranean beaches, Villa Roquette is sheltered by the hills and woodlands of the Languedoc National Park and close to the “Canal du Midi” a World Heritage site. We offer Private, self catering Apartments or Chambres d’Hôtes (B&B) in our classic 19th century “Maison de Maitre”. You can stay with us as long as you like, a day or two, a long weekend, a few weeks or several months. Our prices are very attractive and you can be part of the family or totally private. Villa Roquette is a home you can share, relax here and use us as a base to discover this enchanting region of France. If you are interested in photography, guests are welcome to use our professional photography darkrooms and photo labs and to use our classic cameras and equipment. Or just sit by the pool and read. 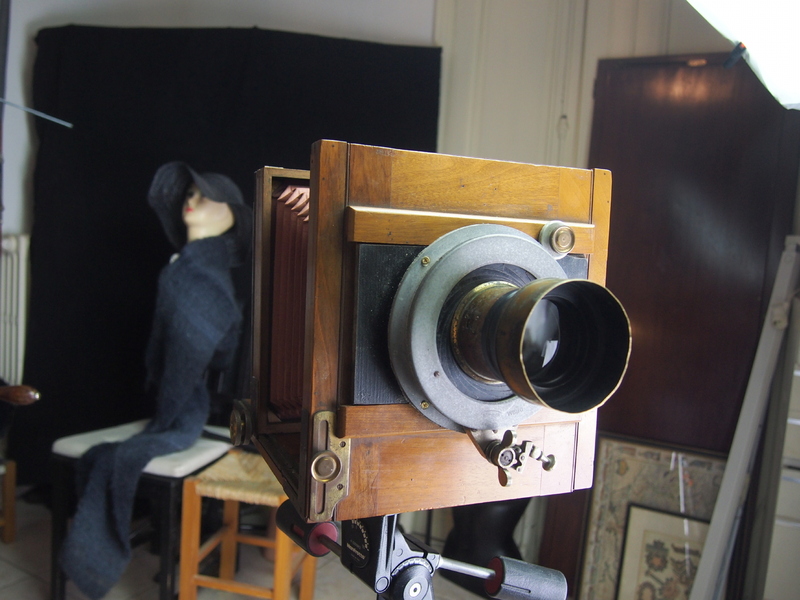 We offer photography workshops specialising in wet plate collodion and other alternative classic photo processes. The photography facilities are separate from the accommodation, so you can stay with us and your partner can relax by the pool, use the local golf course or discover the centuries of history in every stone. 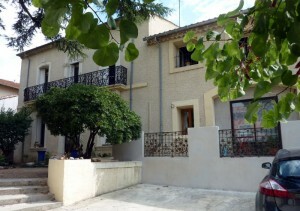 B&B in Villa Roquette includes – WiFi – Air Conditioning in some bedrooms- Secure off road Parking – King-Size beds – Swimming Pool – Barbecue Areas – Gardens – Family Suites all with Private Bathroom or Shower – Pet Friendly – Children Welcome – Bicycle Services, we can lend you bicycles – we loan sets of golf clubs – open all year. Languedoc-Roussillon is a treasury of towns and villages with thousands of years of history, but the real treasure of the mystical Cathars and Templars is the gentle climate with hot summer sunshine, the best in France, with over 300 sunny days each year. Breakfast is included in the bed and breakfast prices, this is usually a continental breakfast, but we can offer meats, cheeses and more if you prefer. Montblanc has two boulangeries, so we can select from 15 different types of bread, putting them warm on the table for you every morning. 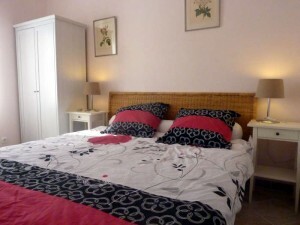 Our B&B bed and breakfast prices and rooms are for two people. Just a few yards from our front doors of Villa Roquette is the thriving village center of Montblanc with a good selection of shops and services. Montblanc has a street market every week, a good restaurant and a friendly cafe. Our aim is to give you the best service – bed and breakfast, B&B, Chambres d’Hotes, bnb – whatever you are looking for in the South of France, we are here at Villa Roquette, in the golden heart of Languedoc to serve you.